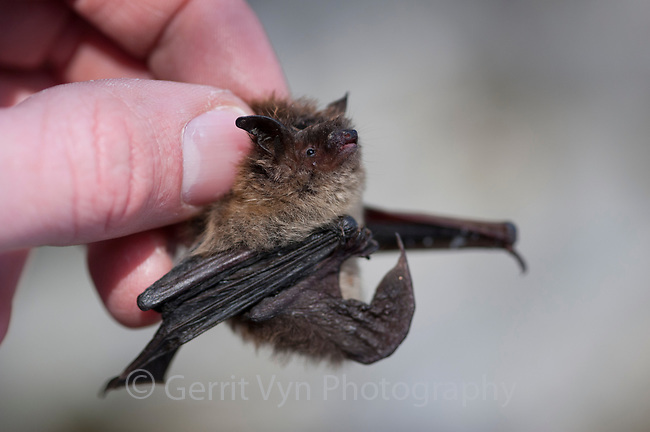 A researcher holds a Little Brown Myotis (Myotis lucifigus) found in the snow outside Vermonts Aeolus Cave. Aelous Cave, Bennington County, Vermont. March.